Welcome to the first issue of the EuroAffiliates affiliate newsletter. We have a lot to tell you so we hope you can spare us a few moments of your time. For full T&C please see bottom of email. On 10th November and 11th November between 8pm and 10pm, we are running a series of 10 free games per hour where you will win €25/250kr per Full House meaning we are giving away €1000/10000Kr over 2 days! Players must have deposited and cash wagered on either the day of the promotion or in the 7 days leading up to the game. Winagames has a whopping €3.6 million jackpot waiting to be won. This is up for grabs on one of our MEGA JACKPOT slots. If you need any creative’s to promote this, please contact us. NB. Only available on Sweden, Denmark, UK brands. We are working hard to ensure you have the latest news and information from EuroAffiliates, OnlineBingo.eu and WinaGames.com. We know you get so many newsletters flooding your inbox, so we decided to limit the newsletters we send and provide you with up to date promotional information for your players on our Twitter, Facebook and our Blog (full promotional details available in the blog). To keep fully up to date, make sure you like / follow / subscribe to us and we will endeavour to get the information to you as quickly as possible to give you as much chance to write the news onto your site for your players. 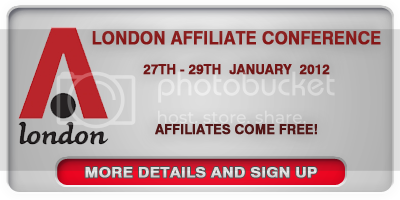 London Affiliate Conference 2012 Registration is open! The London Affiliate Conference 2011 was a huge success with over 2,500 people in attendance, our biggest event ever; on the first day it could be described as standing room only! The good news is we are back for the 6th London Affiliate Conference in January 2012 and hopefully push the attendance over the 2,700 mark! LAC will be opened by the glamorous iGB Affiliate Award ceremony on the 26th of January and will be followed by three days of conferences, exhibitions and networking events. Strategic Conference Programme: Our London 2-day conference aims to provide a wealth of information offering panels and presentations. The sessions focus on the current industry updates and techniques and ensures to engage you throughout the event. Networking: The relaxed atmosphere of our events encourages the open exchange of ideas and experiences. With over 2,500 people attending, you will have plenty of opportunities to network with affiliates, affiliate managers, operators and speakers. iGSOP: The iGaming Series of Poker is open for all registered affiliates and sponsored programs to compete & play, with the chance to win big, big prizes. Free admission for ALL Affiliates! OnlineBingo.eu are advertising on Swedish TV! 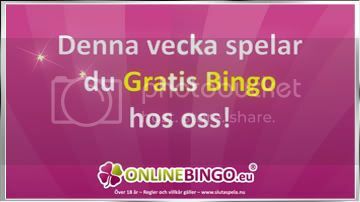 We are very excited to announce that OnlineBingo.eu are advertising on Swedish TV this week. You will find the adverts on TV3 throughout the course of the week. 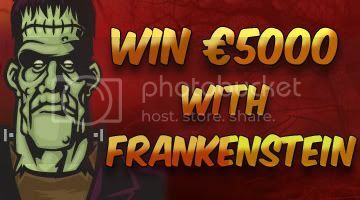 Our Frankenstein promotion runs between the 14th October & 27th October across all languages. The metrics are slightly different for each, so please take a look at the relevant language to see exactly how the players can win their way to this amazing promotion. Affiliates please feel free to let your players know about this promotion. If you would like an EuroAffiliates.com affiliate account, please click here. If you have any questions, please feel free to contact us. Today all players get a whopping 200% bonus on every deposit they make at onlinebingo.eu. For example, deposit €500 get €1000 FREE! Affiliates – let your players know about this sign up deposit bonus. If you would like an Euroaffiliates.com affiliate account, please click here. If you have any questions, please feel free to contact us at [email protected] . This will be the most important festival of the year! You can play bingo absolutely free and earn large sums for 12 hours! All bingo games offered in the Bingo Café are free from 12:00 until midnight! The best thing is that all gains during this period are cash prizes! Do not miss the biggest party of the summer. Come play in the Bingo Cafe between 12:00 and 24:00 and win money for free! You can earn money only if you have money in your account. 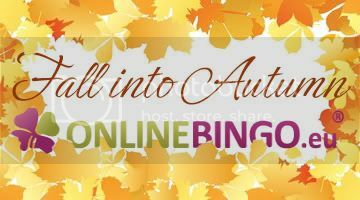 Affiliates, please feel free to promote this free bingo opportunity to your players. If you do not have an affiliate account with EuroAffiliates.com, please click here. Contact us if you have questions or would like more information. We would like to extend a warm welcome to our newest addition to the EuroAffiliates Team, Claire in the position of Affiliate Manager. Please feel free to contact her at [email protected] if you have any questions or if you would like to send her a welcome hello! iGB Affiliate is currently compiling the nominations for the annual iGB Affiliate Awards. Have you nominated? It’s not too late, simply click here to add your details. You can nominate yourself, worthy peers and rising stars in the affiliate industry. Nominations close October 17th, 2011. For more information about the awards as well as the categories, click here. To nominate, click here. 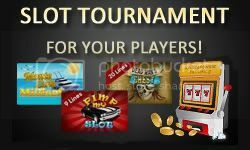 Slot Tournament – THIS Weekend! Players receive an entry to a prize draw where they can win one of the 10 €25 cash prizes for every €100/Kr1000 they wager on slot games. The winners are announced and informed by email the day after the end of the slot tourney. 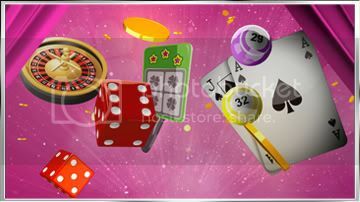 For players to claim the prize, they must confirm they wish to receive the cash prize by replying to the email sent to them informing them of the win within 24 hours. The winnings will be credited within 48 hours of player confirming their prize. Only players who have made a real money deposit are eligible to participate in the promotion. The minimum amount to be wagered on the slot games in order to qualify for this tournament is €100/Kr1000. Fall into Autumn Promotion – THIS Weekend! This weekend our Fall into Autumn promotion is on the Sky High and Big ticket progressive jackpot games. If the first 3, 4 or 5 numbers called are falling away in sequence, your players can win anywhere from €5-€125. For example (z. B. 58, 52, 20, 12, 1) amounts to the profits €125 bonus.